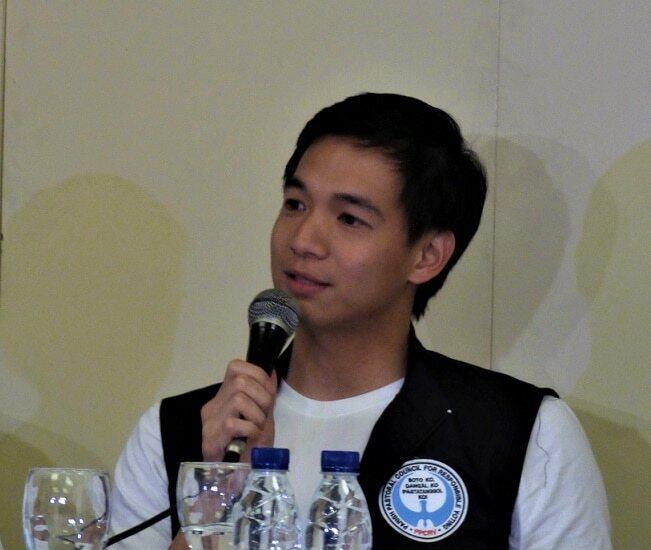 MANILA – Sports celebrities Chris Tiu and Gretchen Ho join the campaign of the Parish Pastoral Council for Responsible Voting (PPCRV) to boost the youth’s participation in the May 2019 election. Named Youth Ambassadors, Tiu, Ho, and other personalities namely Perlas Spikers player Dzi Gervacio, TV anchor and finance professor Denise Laurel, bar exam top-notcher and law professor Mickey Ingles, and PPCRV youth volunteer Ben Jayson Tabor, are tasked with promoting PPCRV’s goal of Clean, Honest, Accurate, Meaningful and Peaceful (CHAMP) elections. “What we want to foster in the youth is the attitude of being concerned for our country, concerned for our democracy,” Tiu said during the launch of the Youth Ambassadors campaign on March 20 at the Pope Pius XII center in Manila. “As early as now, we want them to be aware of issues and also to be more involved in other community work and movements,” Tiu said. “Kailangan nating mag-act kasi [We need to act because] as a youth, we want a change in our country and, as a PPCRV volunteer, this is my way of serving God and also the country,” said Tabor. PPCRV Chairman Emeritus Henrietta De Villa said their Ambassadors were chosen not only because of their strong online influence but also because they embody the PPCRV’s mission. “These Youth Ambassadors, they have a following, mostly on social media,” De Villa said. “So, if they put something on social media about ‘Honesty is an issue’ and about the right of every person to vote, especially for the young ones, their followers will also take that up and will even share it and multiply it in their own sites,” she added. PPCRV chair Myla Villanueva said the Youth Ambassadors campaign aims to educate the youth on the proper values and for greater political awareness. “As you know, a big majority of our population would be considered the youth and there are many first-time voters that are coming out in May 2019,” Villanueva said. Out of the 61.8 million registered voters for the 2019 elections, around 27.8 million are 18 to 35 years old. Some 2.1 million of them are voting for the first time. “Whether or not you are for the government or against the government, it is a right to vote and it is a privilege to be living in a democracy and this needs to be clear to the youth,” Laurel said. She noted that their work as Youth Ambassadors is about making young people understand how important it is to vote. “It is completely meaningless to be doing Twitter when you cannot actually have a say, you have no vote. It’s a mindset shift that needs to occur in this country where people are not aware of the fact that their voice and their actions actually have an impact,” Laurel added. Villanueva, a veteran IT professional, said she is confident in the accuracy and legitimacy of the automated election system. This is despite existing problems like vote-buying and electoral violence. “Our work in the PPCRV has really helped eradicate or really minimized to an insignificant amount what we call dagdag-bawas,” she said, referring to the practice of vote shaving during the manual ballot count. “Our work in the last three (automated) elections was really to validate the electronic returns in each and every precinct against that which was transmitted,” Villanueva said. “And I’d like to reiterate that we have found a high accuracy of matching the physical returns that our volunteers across 87,000 precincts match against the transmitted returns in our transparency server,” she added. Tiu said young people can do more than just post on social media. “The youth could also take part in that in their parishes and in their communities. They could be part of the trainers who would educate other voters. They can also volunteer on the actual Election Day as poll-watchers, as volunteers in the transport, food stations, in the command center,” he said. PPCRV has a free online voters’ education course (https://ppcrv.apptitude.xyz/) to help young voters learn about the election process and to choose candidates wisely. PPCRV Executive Director Maribel Buenaobra said PPCRV will continue to do its work despite President Rodrigo Duterte’s attacks against the Catholic Church. 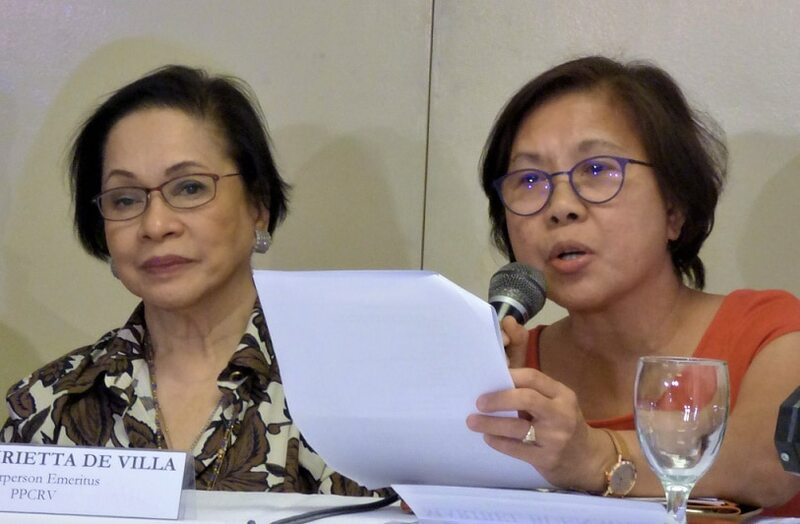 Underscoring that the PPCRV is a faith-based organization, Buenaobra said the attacks on the Catholic Church have, in fact, inspired them to work even harder. “Our work is never finished and our work will never be finished,” she said. Oops? Did Cesar Montano accidentally film a naked woman in birthday greeting video? Is Duterte junking friend and ally Pantaleon Alvarez?